"For over 20 years Apartment House has been captivating audiences with its performances of experimental and contemporary music. The group has performed all over Europe, from Oslo to Rome and from Barcelona to Vilnius, and is a firm feature on the British concert scene, with regular performances at Café Oto and a residency at the Wigmore Hall. 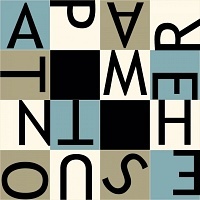 Apartment House is the most frequently featured UK ensemble in the history of the Huddersfield Contemporary Music Festival and its John Cage portrait concert at the Queen Elizabeth Hall, Southbank Centre, won the group a Royal Philharmonic Society Award for outstanding contribution to Chamber Music and Song."